Many elder people may be unable to efficiently absorb the Vitamin B12 found in foods. This is because stomach's production of acid tends to decrease as we get older. 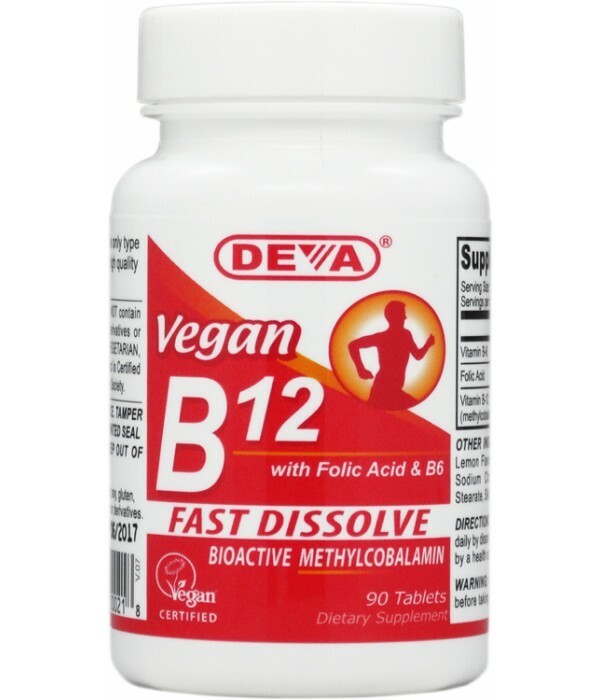 It is this stomach acid that is necessary to break Vitamin B12 away from the proteins in food. This process must happen first before Vitamin B12 can bind with what is called intrinsic factor in our small intestines before then being absorbed. 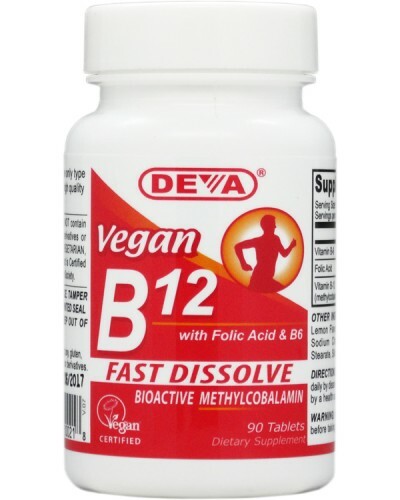 DEVA Vegan Fast Dissolve B-12 is 100% animal free, and guaranteed for purity, freshness and labeled potency. Remember all DEVA Products are 100% vegan, vegetarian and are registered by the Vegan Society, the non-profit organization that actually invented the word "vegan". For adults take one (1) tablet daily by dissolving in mouth before swallowing , or as directed by a health care professional. Tablet can also be chewed if desired. Free of yeast, wheat, soy, gluten, sugar, salt, dairy, egg, fish; animal products, byproducts or derivatives.